Or more accurately; here yesterday, gone today. By inch 4—I was unhappy—TOO linear. TOO rib like. Then, a mistake made it, TOO much. So, a frog party—and a new start. And it's better already. There's not as much—but sometimes less is more—and I am liking this version better. Some times no matter how much you want to like something, you cut your loses, and give up. It's a lesson learned over and over again. I like the 2 stitch spacer column much better—especially in this yarn -(it gets increased by 2 every other row, and decreased back to 2 on the alternate rows.) It looks braided --or perhaps more like a furrow. 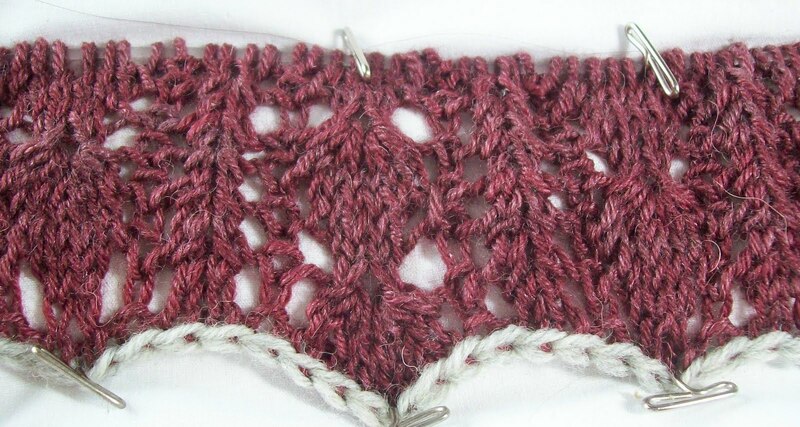 The uneven lace (row count on the stitches changes every other row, too) is more sinuous too, and I like that too. Finally, the column don't overwhelm the small berry motif. All in all, a better pattern. 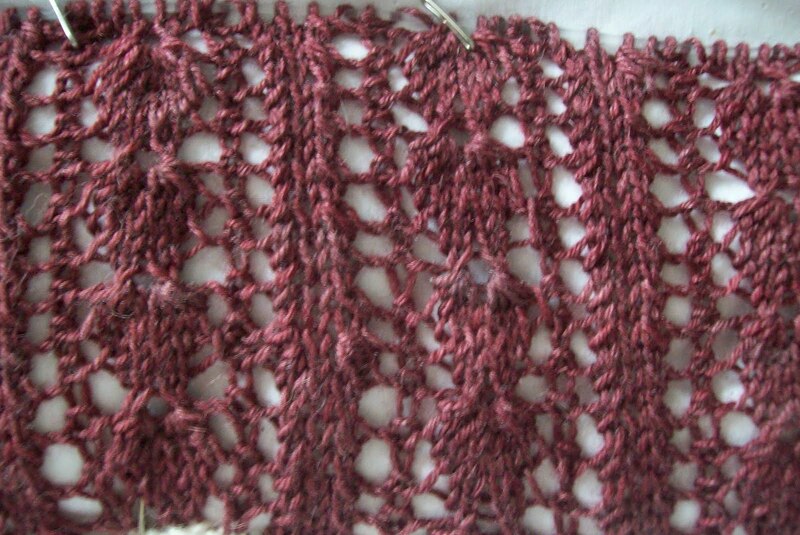 1 Stitch difference!—sometimes it's a small thing that makes or breaks a pattern. Now all I have to do is keep it mistake free!